Steven Spielberg and Jennifer Lawrence Team Up For ‘It’s What I Do: A Photographer’s Life Of Love and War’! 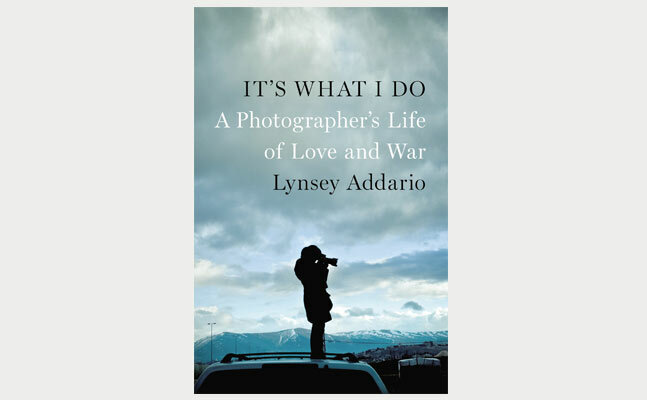 There’s been a project called ‘It’s ‘What I Do: A Photographer’s Life Of Love and War‘, which is a memoir by Lynsey Addario that has Hollywood clamoring to buy the rights for the big screen. It now seems that Warner Bros. has the upper hand and set to strike a deal with a highly bankable and talented team. What we know so far is that Steven Spielberg is attached to direct and Jennifer Lawrence is set to star as Lynsey Addario with Andrew Lazar (‘American Sniper‘) producing the film. The memoir was published in the New York Times Magazine a while ago, and there has been a treasure trove of A-Listers trying to be a part of this project, because they know it has Oscar written all over it. The memoir is about Addario who travels to the most dangerous places in the world to seek out the truth and injustices being done. According to Deadline, Reese Witherspoon and her production company was trying to get the rights for this project. Meanwhile, Darren Aronofsky has been trying to purchase the rights as well for Natalie Portman to star. George Clooney also has been in the mix as well as ‘The Wolf of Wall Street’s‘ Margot Robbie. All those names are at the top of the list, but let’s get real. When Spielberg wants something, he gets it. And Jennifer Lawrence is one of the biggest names if not the biggest name in Hollywood right now and responsible for one of the bigger movie franchises in history in ‘The Hunger Games‘. So it makes sense that Warner Bros. is winning this auction war. That being said, Spielberg has a recent reputation for leaving projects and going elsewhere. Most recently, ‘American Sniper‘, which Clint Eastwood took over. So only time will tell. I love Spielberg. Let’s face it. He’s the best. But as of lately, his films haven’t been up to snuff when compared to his previous work. I think he needs to get back in the science-fiction genre, which is where he succeeds the most and not with these realistic war films. Leave that to Eastwood. But I must say, this project has me intrigued. This entry was posted on Monday, March 2nd, 2015 at 6:40 pm	and is filed under Film, News. You can follow any responses to this entry through the RSS 2.0 feed. You can skip to the end and leave a response. Pinging is currently not allowed. « Find Out when the New Netflix Shows Premieres! [after seeing Frank running naked along the streets, she slows down her car] Frank, what are you doing? [out of breath] We're... We're going streaking! Th... W... There's more coming. [still out of breath] Ok.